Natural stone countertops are beautiful additions to any home, but they come with many considerations to preserve their condition. Stone World at Red Bank wants customers to enjoy their countertops for years to come. Therefore, they’ve compiled the following list of common concerns, from cleaning techniques to proper sealing, to help keep your surfaces gleaming. Can Household Cleaners be Used on Natural Stone Countertops? Although some materials are more vulnerable than others, harsh household cleaners aren’t recommended for stone surfaces. Chemicals like ammonia and bleach can damage (or “etch”) the surface and wear down any sealer you may have applied. A soap and water solution should be safe and effective for stones like granite, but it’s best to check with a reputable countertop service to learn what will work best on your surface. How Often Should You Seal Your Stone Countertops? Sealing natural stone countertops helps protect them from etching, stains, and water damage. Your resealing schedule will depend on the material. Granite, for example, should be resealed every two or three years, while you should reseal marble and quartzite two to three times per year. The water drop test is an easy way to see if your counter needs resealing. Put a few drops of water on the surface of the stone and, if they’re still beaded after 10 minutes, your seal is still effective. How Can You Avoid Damaging Natural Stone Countertops? 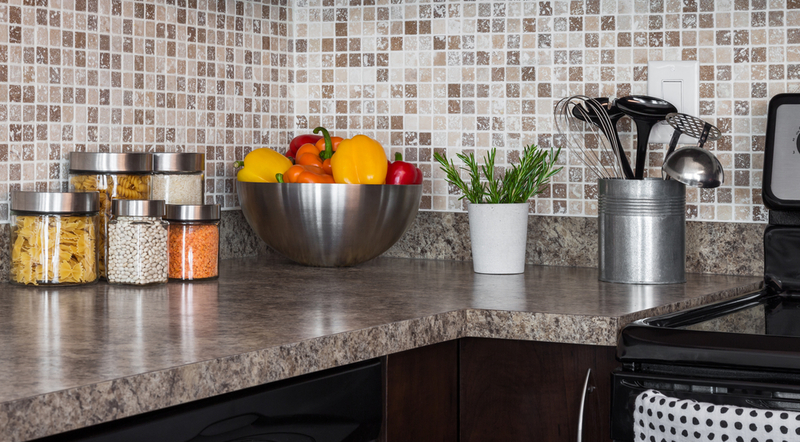 Minimizing heavy loads on the edges of countertops and avoiding direct heat exposure are two simple ways to avoid cracks and chips. Never set a hot pot or pan directly on the surface, as the sudden temperature change can shock and crack the stone. Instead, use a trivet. Similarly, never cut directly on the surface of a countertop. Sharp knives will cause small scratches in a countertop’s surface that can harbor bacteria. Use a cutting board every time you chop. Although all stones are porous to some extent, their natural resistance, coupled with the sealer, usually prevents permanent stains from setting. To stay on the safe side, clean up spills as soon as possible to avoid penetrating stains. Stone World at Red Bank has provided the most beautiful natural stone countertops in New Jersey for more than a decade. With a wide variety of gorgeous countertops made from granite, marble, quartz, and more, the knowledgeable staff will have no problem finding the perfect surface for your home. For more information, call (732) 383-5110 or visit the website today.